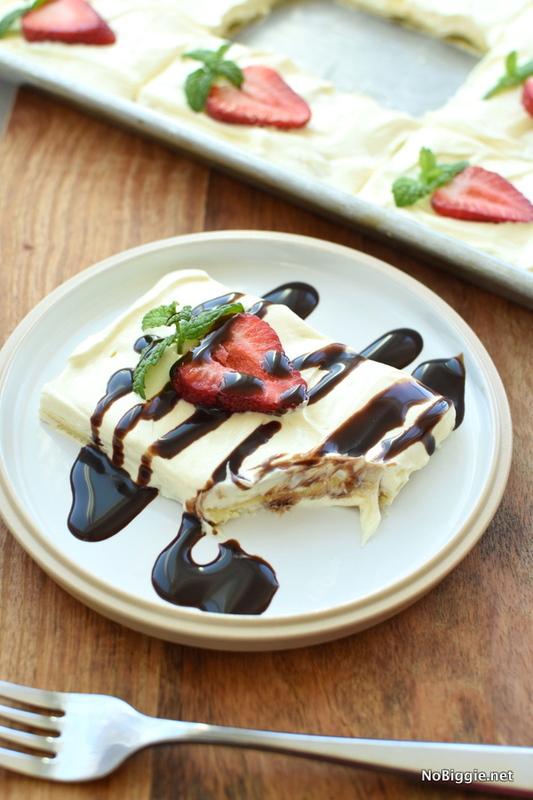 Feed a crowd with one of our favorite desserts: Eclair Squares! We love eclairs! You just can’t beat the creamy filling and the soft texture of a good eclair. Here’s a super easy way to serve up the flavors you love of a classic eclair with way less effort. It’s a short cut to making individual eclairs, and there is no piping involved here. 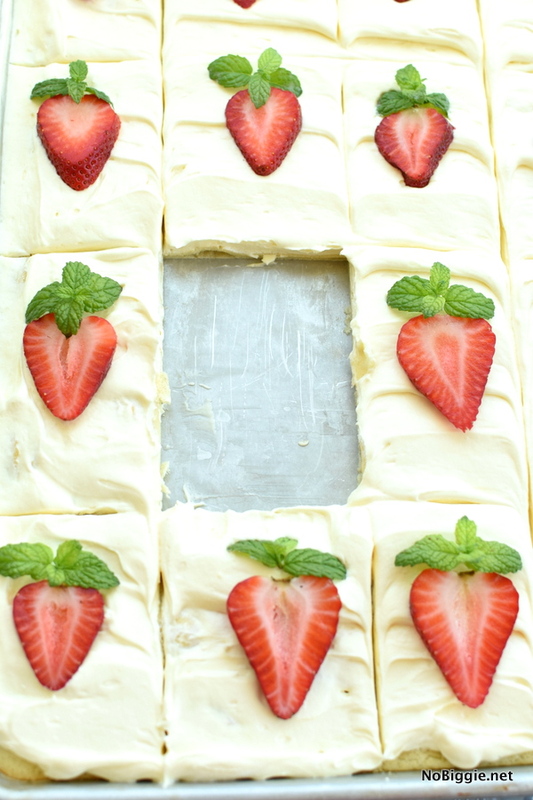 Eclair Squares are a fun way to serve dessert to a crowd. 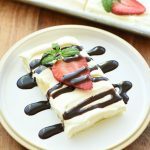 This is one of my favorite desserts to feed a few, because everyone loves it! We love to let everyone top their own with lots of fresh berries and a drizzle of chocolate for a decadent dessert! 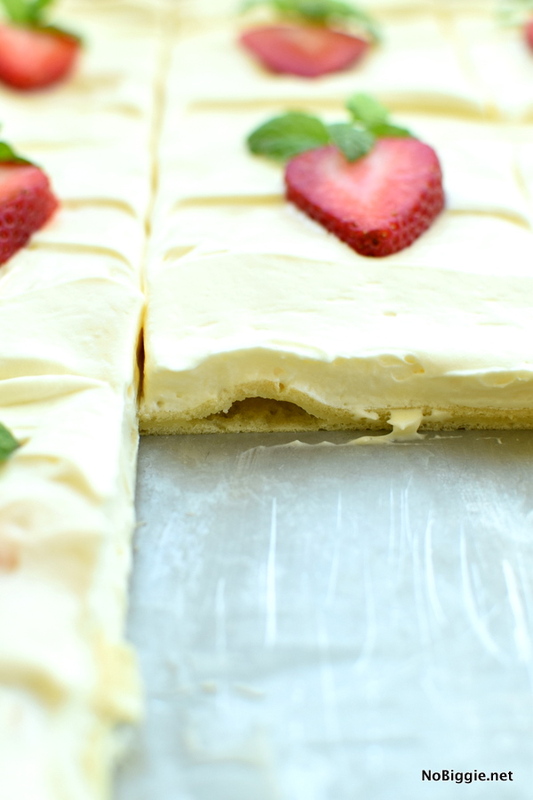 This is a great make ahead dessert because it needs time to chill in the fridge. So make it a day ahead! I love these sheet pans with the plastic lid that clicks into place. It makes it easy to travel, without messing up the top layer of the dessert. 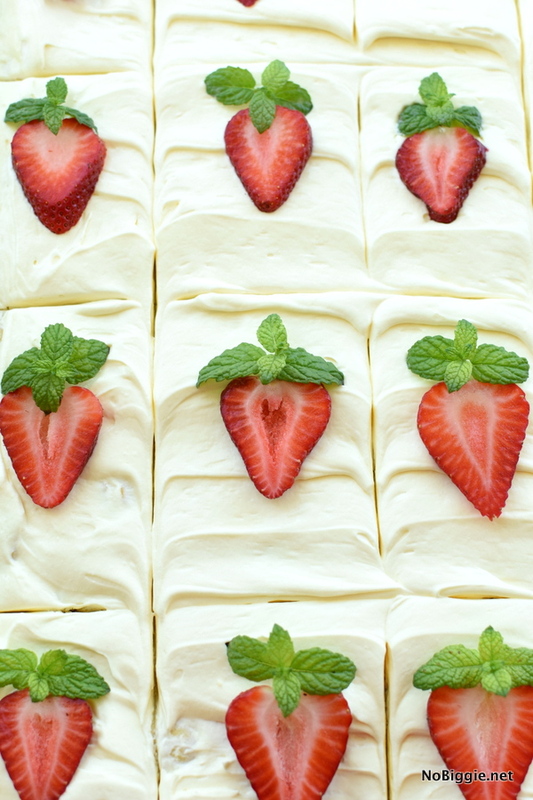 In the photos here we show each serving with a slice of strawberry and a little sprig of mint leaves on each one, but the fun part is letting each person add the berries and chocolate syrup to their own square. You could always serve it like this, and offer additional berries with the syrup. 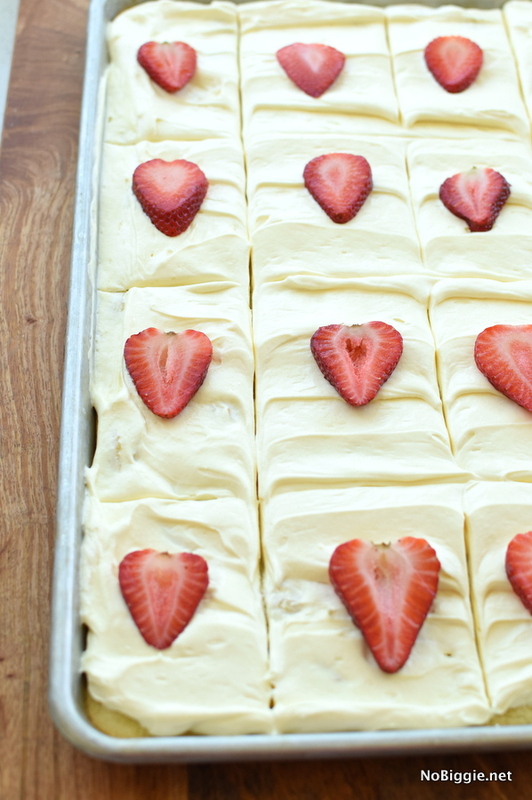 Strawberries, blueberries, blackberries, raspberries…basically all the berries would be so good on this! 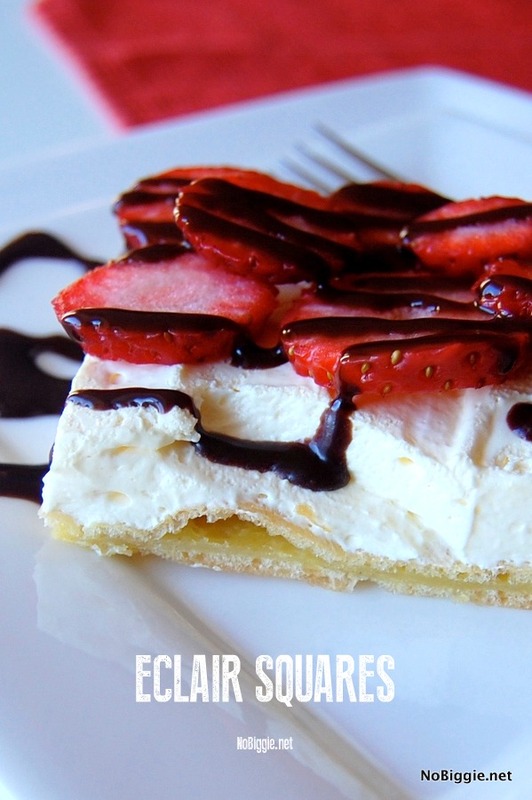 If you love eclairs, you will love eclair squares! It's the flavors you love of eclairs only so much easier! Bring to a boil the butter and water. Once it starts to boil, take it off the heat and add the flour and a pinch of salt. Mix in the flour with a wooden spoon until the mixture becomes smooth. Leave it to cool for a few minutes - don’t let it cool completely as the dough will be lumpy. Spread onto a greased sheet pan. Bake for 25 minutes until puffy, and then let cool. With a hand mixer, beat together the cream cheese with the milk. Combine both mixtures together until thickened. Spread mixture over the top of the crust. 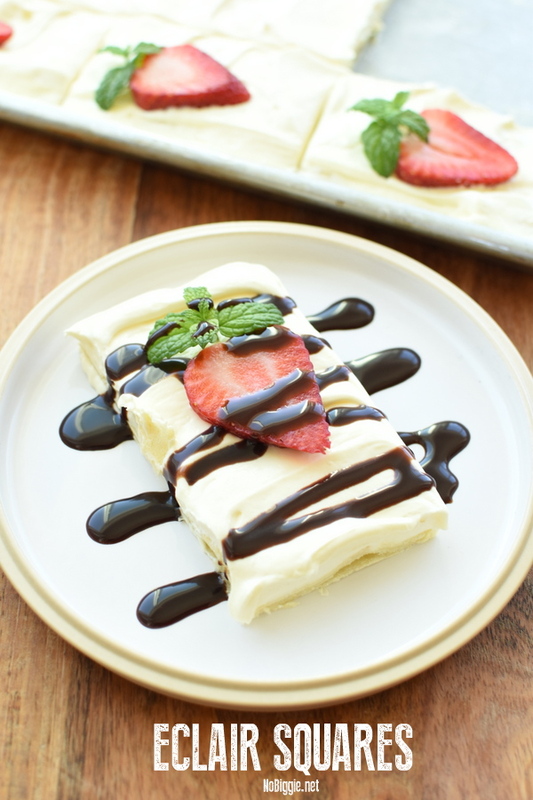 Serve with a drizzle of chocolate syrup and fresh sliced berries. We hope you enjoy this family favorite as much as we do! See this post for a traditional eclair recipe. We even made them cute for Halloween…Eclair Mummies!